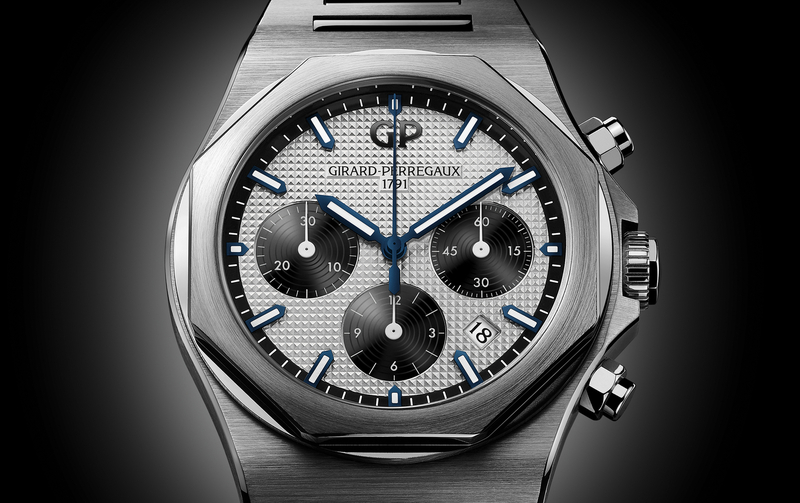 Girard-Perregaux debuts its first 1966 timepiece in stainless steel. 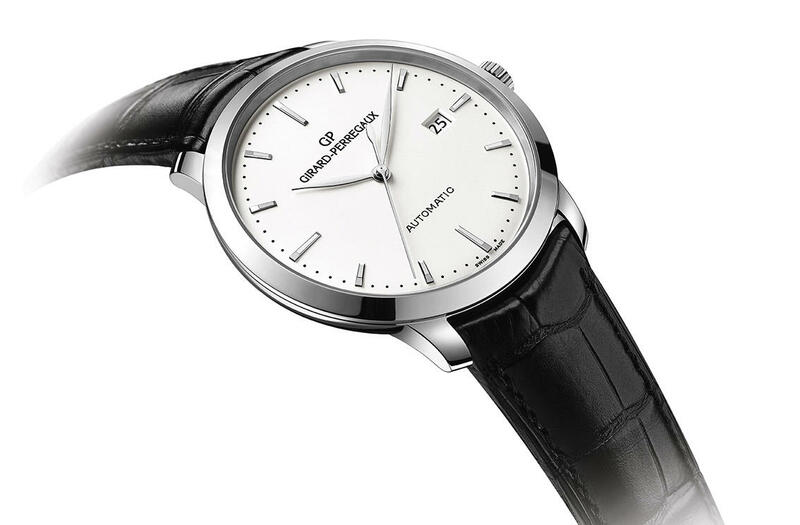 The fully polished steel case measures a sleek 40 mm by 8.9 mm, and features an opaline silvered dial with leaf-shaped hour and minute hands, and thin seconds hand. Bevelled steel indexes mark the hours and black dots mark the minutes/seconds. An aperture at 3 o’clock indicates the date. 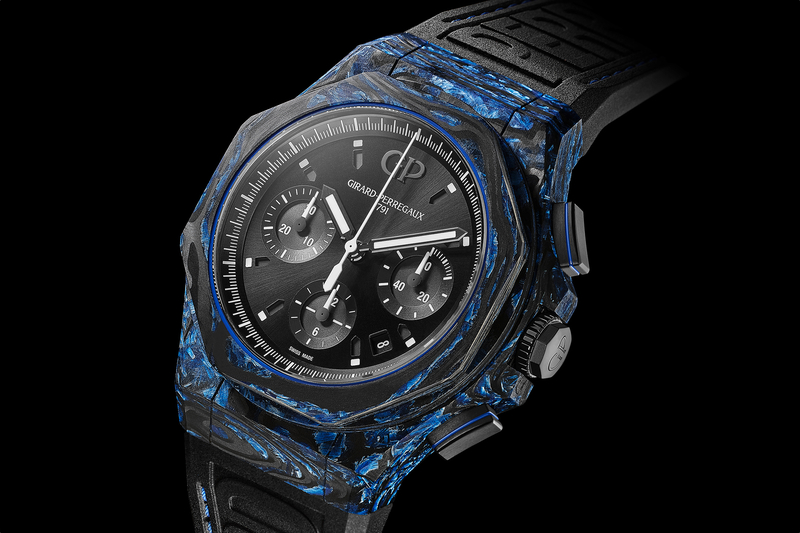 The 27 jewel in-house automatic, caliber GP03300-0030, beats at 4Hz and powers all the hour, minute, second and date functions. Maximum power reserve is 46-hours. 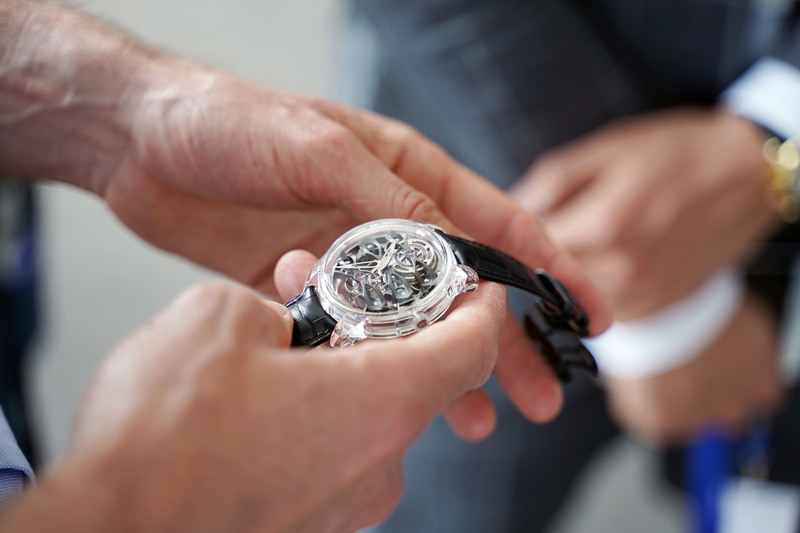 The movement is finished with a perlage decoration on the main plate and Cotes de Geneve stripes on the bridges and rotor.